The subject of the Love of Gopis for Sri Krsna as described in the Bhagavata and other Puranas, which supplied a perennial theme of inspiration to most of the foremost saint-poets of medieval India and forms the backbone of the mystic faith and practices of many living Vaisnava sects in India, is very often misunderstood by people who are not acquainted with the tenets of that aspect of Hinduism which recommends worship of God as the very embodiment of Love and Bliss. The present brochure in an humble attempt to explain this religion of Love. We hope a study of the booklet will reveal to every reader the transcendent character of the Gopis Love  the attraction of the soul in its purest state of existence for God, and the play of Love on the plane of the spirit between God and His chosen instruments. From this point of view the approach indicated is claimed to be the nearest approach to God, which invests the Love of Gopis with a glory and excellence which are truly unparalleled and supernal. 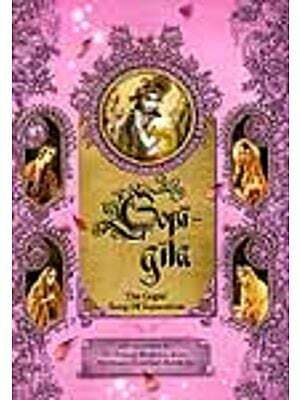 The brochure is an English translation of the writer's original in Hindi appearing under the title "Gopi-Prema". We hope it will be a popular with our English readers.